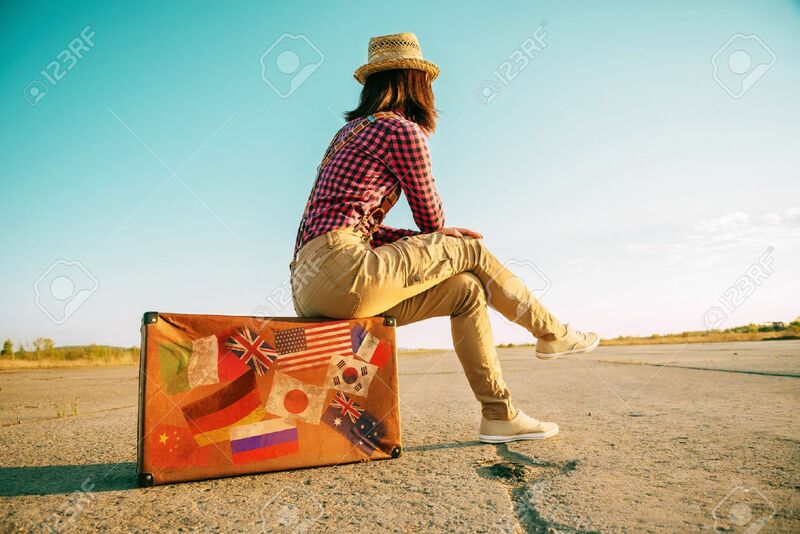 Traveler Woman Sits On Retro Suitcase And Looks Away On Road. Suitcase With Stamps Flags Representing Each Country Traveled. Фотография, картинки, изображения и сток-фотография без роялти. Image 32823492. Фото со стока - Traveler woman sits on retro suitcase and looks away on road. Suitcase with stamps flags representing each country traveled. Traveler woman sits on retro suitcase and looks away on road. Suitcase with stamps flags representing each country traveled.